Last edited by KiteOrDie425 on Wed Sep 10, 2014 8:51 pm, edited 2 times in total. As a prediction, I'll say if you have a blade fat lady or similar it might work starting at 6:30 or so. Anything smaller and it'll be frustrating. Let me know how it goes. so do we have to be an nska member $$$ to park up North now at their spots?? The forecasts that I've checked on for the weekend don't seem to fill-in the area with enough wind, either at JI or Hunter, for kiteboarding...not even w/ a big Fat Lady. TJ's forecast for the entire Puget Sound area seem to be more on-target than others I check, but they are only available the night before and then updated again in the morning. Which forecasts are best this time of year for predicting a couple of days out (2-3 days) like on a Thursday for the upcoming weekend ?? Oh dude I saw the sensors up they're last weekend and was wondering if anyone made the move. You got it huh, what days? I was stuck at Anthony's for dinner sat night, If I'm not mistaken I believe I saw Marty out there getting a pond sesh. 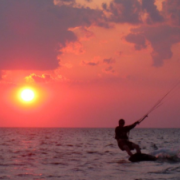 Checking in -- what's the thought on kiteboarding this weekend at JI, Hunter, or somewhere in the Puget Sound ?? I didn't see anyone at hunter on saturday. I was all by myself. Saturday was not typical hunter winds. It was much more punchy than usual. Sunday was better. Tides drove a late afternoon session both days. 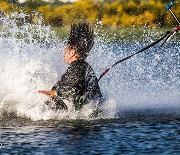 As a friendly reminder as we approach the crowded season: Keep your lines rolled up until your ready to go out & in between sessions.. reduce the mayhem in the launch.